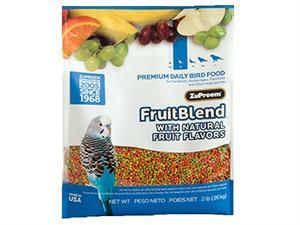 ZuPreem Fruit Blend with Natural Fruit Flavors Premium Daily Bird Food provides healthy and balanced nutrition from small parrots to macaws. Small for parakeets, parrotlets and other little ones that prefer this size. Medium for cockatiels, quakers and ringnecks. Medium/Large for small conures to Amazons. Large for larger Amazons, cockatoos and macaws. 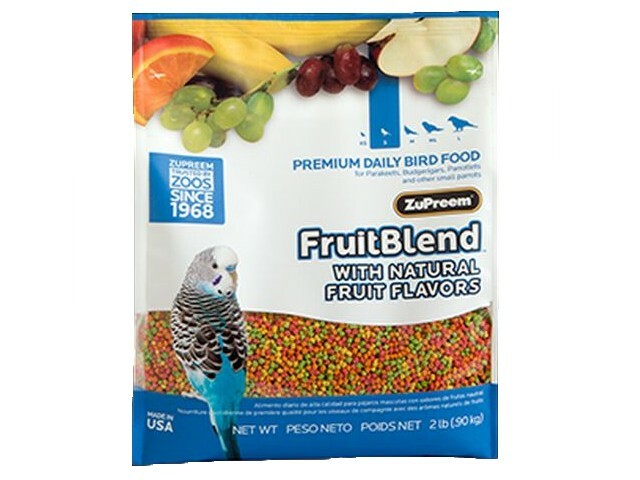 This blend provides 80% of your bird's diet and does not need to be supplemented with additional vitamins and minerals.